Beautifully remodeled home in a very private setting on a one acre lot in town. 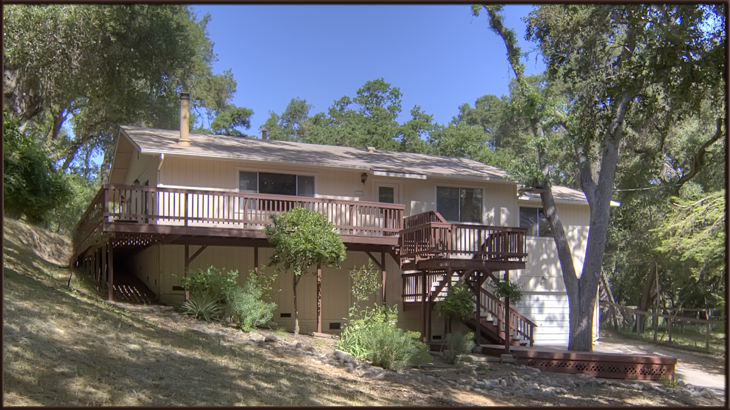 The trees have been very well maintained which adds greatly to the enjoyment of this home. Silestone counters, distressed wood flooring, newer furnace & air conditioning & newer water heater with circulating pump. Appliances included! Decks have just been painted and don't let the steps worry you as there is easy access when you go in the back door!